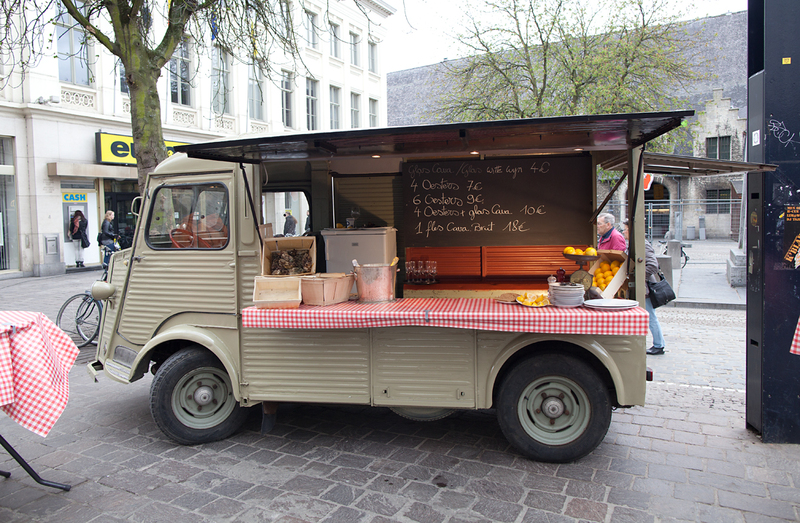 There is a old Citroën truck that sits at the Groentenmarkt on sunny weekends. At this truck you can buy oysters and champagne from a man who looks like a robust Adrien Brody. 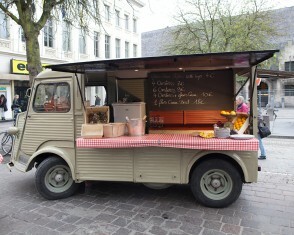 He will ask you where you’re from and what you thought about them changing the course of the Ronde this year. 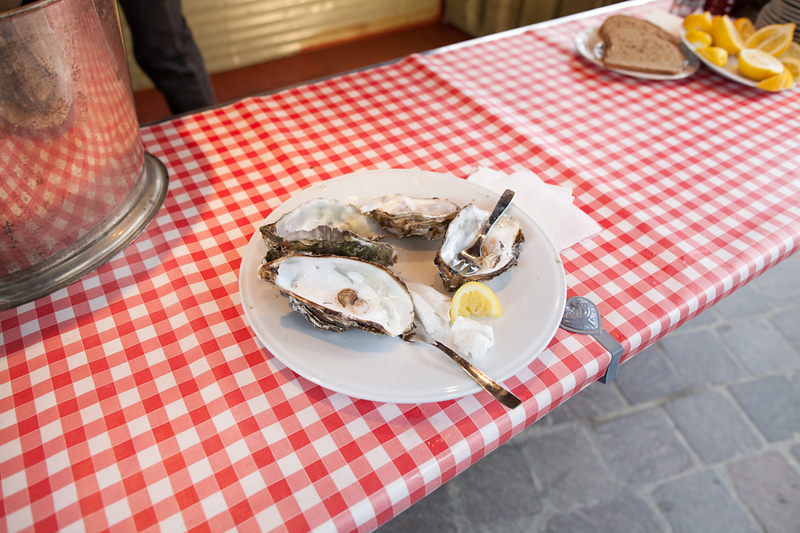 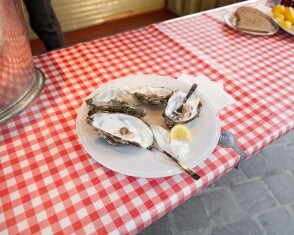 The oysters will be the freshest, largest, and best you have ever had and the champagne will be champagne.